June 2003. Richard Evans, sent in his old class photo. I attended Dalmarnock Primary 1940-45 then Riverside 46-50. Moved from Nuneaton St to Bernard St. then London Rd. before becoming the first tenants in Garthamlock. Fond memories of the 228th BB in Newlands East church. For those of us born and raised in Bridgeton ........'thank you Webmaister' "
............ in the 1942 7-8 year olds row 2 # 5 is Mary McInally. She was my upstairs neighbor in Albany Street and also came home from Canada to be my best maid when I got married in 1956. 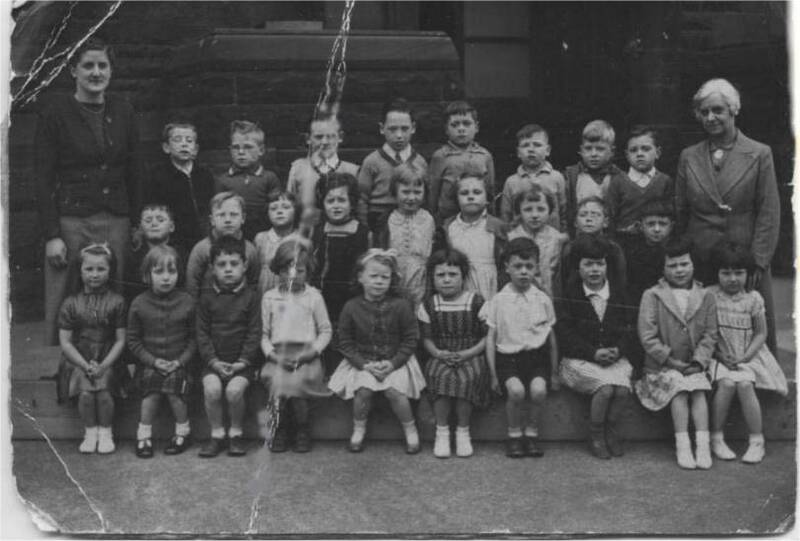 Row 2 #4 is Margaret McLucas, her sister Sadie was in my class.